in Riga, Latvia or its surrounds in the late 1920s or early 1930s. Some immigrated to Israel (then Palestine), others to the United States. did not survive the devastation of the Second World War and the Holocaust. 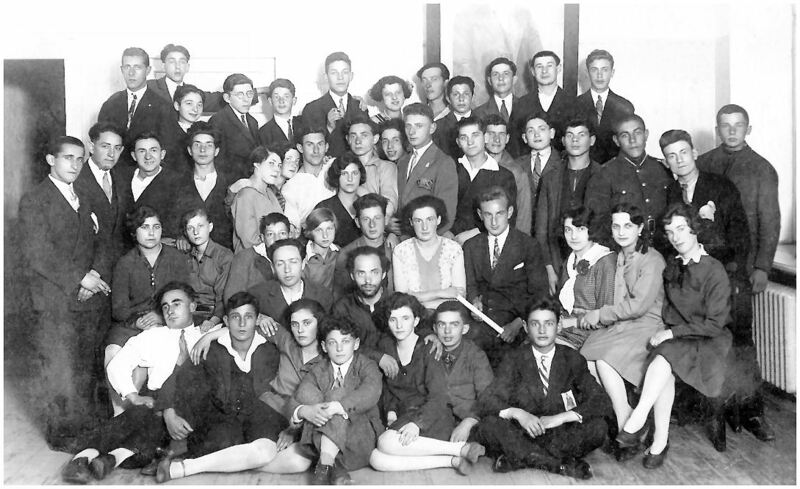 In the photo: Sitting on the floor, third from the left side -Rivka Dolgitzer. Behind her is David Chagi. Standing behind them is Musia Padva.